Elder Francis Orr of Fort McKay, explained how beavers build up their dams in the bush to reach their preferred foods, poplar and willow, even where there is no running water: in the spring, when the snow is melting, beaver will build a low dam to hold the spring runoff; for two more years, the beaver will raise the height of the dam, both in the spring and again in late fall, in order to trap more spring runoff (and rainfall). 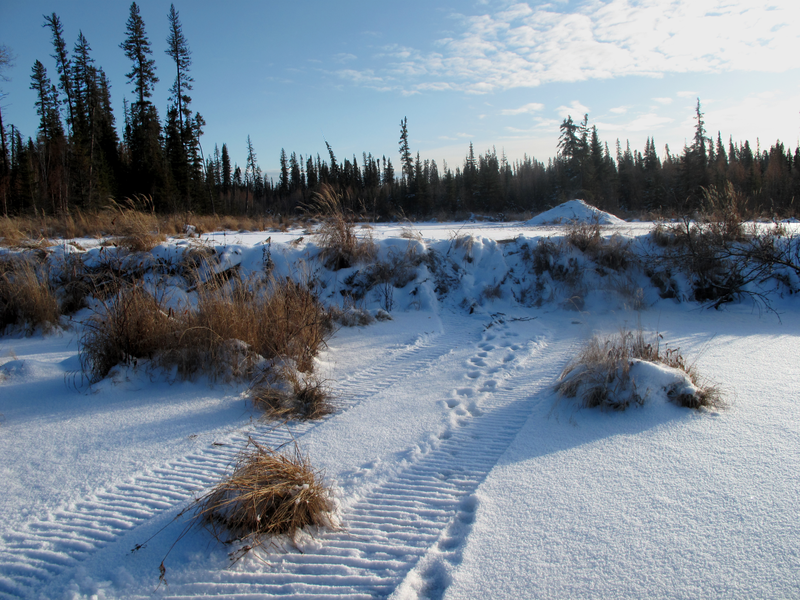 Once a beaver pond is established, Elder Francis Orr explained the beavers will continue to build the dam outward towards their food source, helping also to avoid exposure to predators by not needing to travel on land. 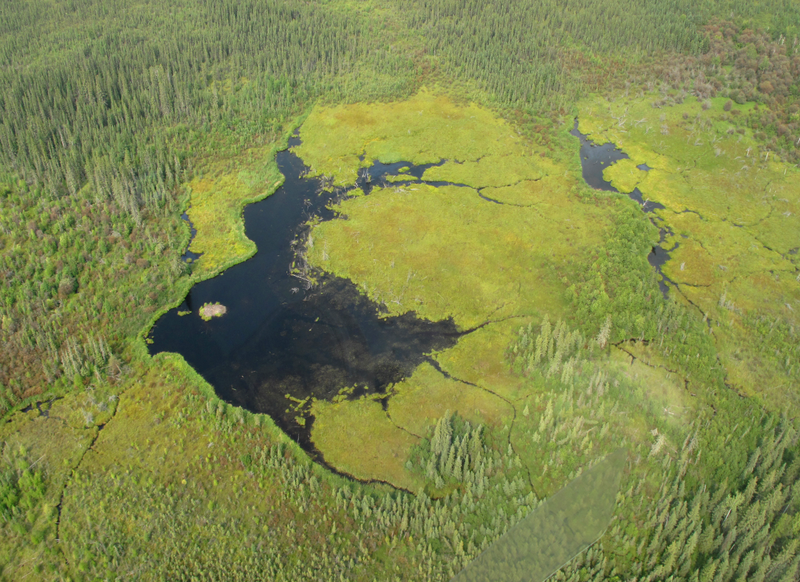 This method of constant expansion to safely reach foods that can be stored underwater for the winter can help to explain the massive beaver dams found in the region (see below). 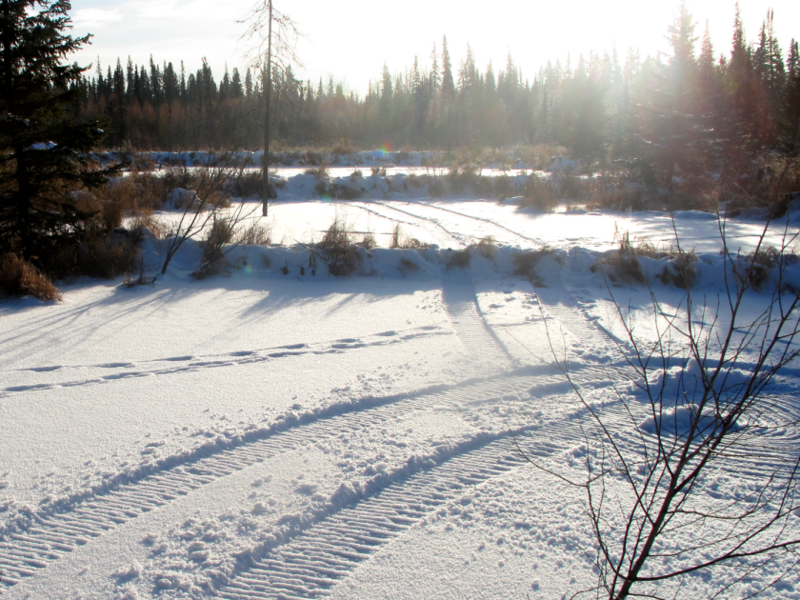 My seeing these beaver dams first-hand was made possible by Russell Tourangeau of Fort McKay, Alberta (in the heart of the Athabasca oil sands production region). 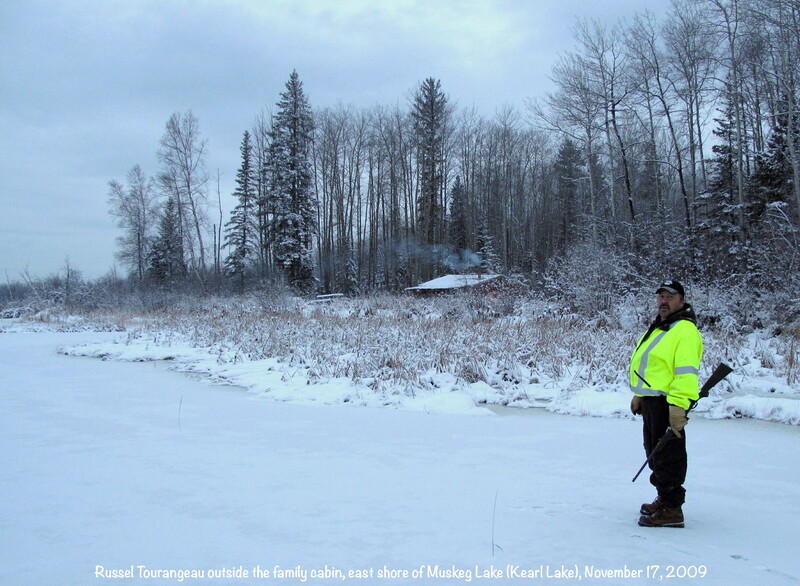 Russel took me out on his family trapline to show me how beavers build their dams in the bush, among many other natural and cultural features on his family trapline. 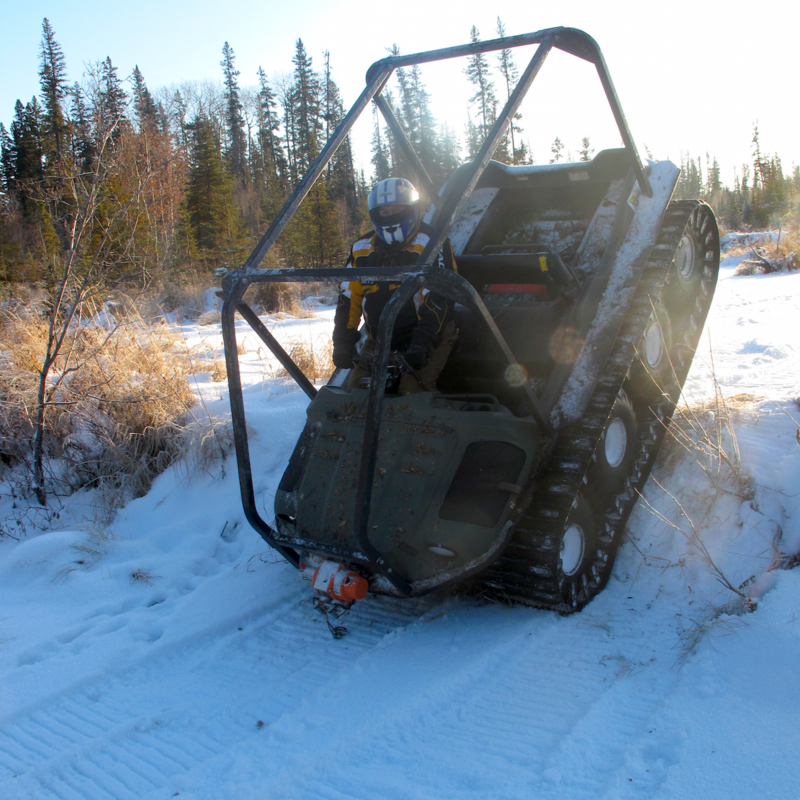 His cabin is based on Muskeg Lake (Kearl Lake), where oil sands development may remove or destroy absolutely everything. 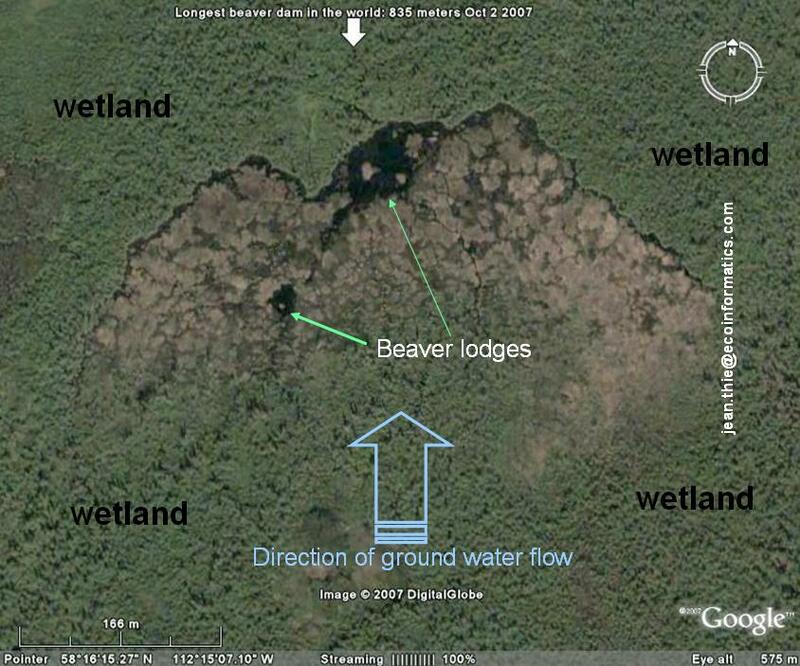 Pictured at left (on Google Earth) is a satellite image of what EcoInformatics, a consulting firm, has argued is the longest beaver dam recorded on earth. The dam is within Wood Buffalo National Park. In October 2007, the dam was estimated to be 850 meters long. Such dams are not uncommon in the region. I took a photo (right( of one north of the Steepbank River (the northern limit of Fort MCMurray) and estimated it to be about 350 meters long using the Google Earth measuring tool. You can navigate to this site on Google Earth as well as see other images in the region on Panoramio.